The National Sorghum Producers board March 2 expressed general optimism about approval of the sorghum checkoff. The group, however, expressed some impatience in awaiting results of the vote concluded Feb. 28 by The U.S. Department of Agriculture’s Agricultural Marketing Service. Terry Swanson, NSP Vice-Chairman, summed up the anxious moments in awaiting the results. “It’s kind of like root canal,” Swanson said. 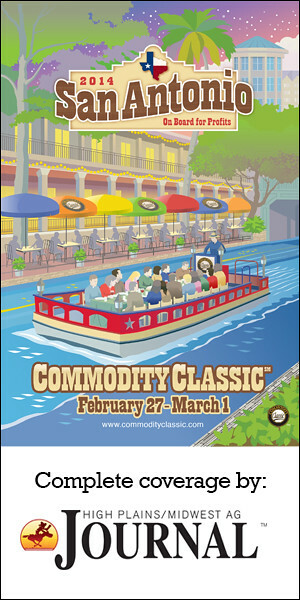 NSP holds its annual general session at Commodity Classic March 3. Featured speakers include Dave White, chief of USDA’s Natural Resources Conservation Service, who will discuss new features of the Conservation Stewardship Program (CSP); Phil Bradshaw, vice president of the U.S. Farmers and Ranchers Alliance; Carlos Rionda, president of SouthEast Renewable Fuels, LLC., a Fort Lauderdale, Fla., biofuel refiner and importer; and Sara Wyant, Agri-Pulse columnist for High Plains/Midwest Ag Journal, who will offer her take on the Washington policy scene.